In the wake of a couple of news articles, a friend of mine from an ( un-named by request ) think tank reached out to me to give me "the rest of the story". In a nutshell, the AACUS system discussed in the linked article is a set of sensors & computers that will allow a helicopter to be given a mission objective, and then makes its own decisions as to how to implement them. Yes, that's right - no human pilot required. 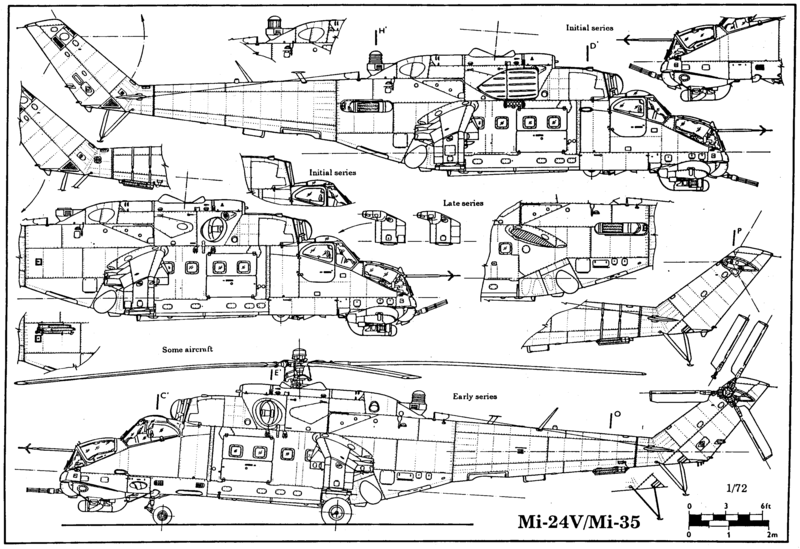 The Soviet Mi-24 (HIND-D) attack helicopter is a highly durable, fast multi-mission platform. Capable of utilizing a wide array of weapon systems, it can be set up for air-to-ground, air-to-air or bombing missions. My friend ( we'll call them "Ashley" for anonymity reasons ) told me that this is just the tip of the iceberg and that the U.S. government has plans that extend far beyond what is being published as "news". For one thing, the plan was formulated based on the availability of thousands of Soviet-era aviation assets now rotting away in various former Soviet satellite countries. Ashley said the pilot plan was to equip a couple hundred HIND-D attack helicopters with autonomous operation technology, using "off the shelf" parts for deniability reasons. Avionic equipment to be isntalled included LIDAR, RADAR, 360° thermal imaging sensors, GPS/GLONASS/BDS/Galileo SATNAV capabilities, SATCOM and other information-gathering technologies. A redundant array of hardened servers utilizing specialized motherboards loaded with modern GPUs would also be installed, allowing advanced Artificial Intelligence system(s) to function based on real-time information in order to successfully complete mission objectives. This technology is designed to allow small groups of these helos to operate as a "mesh network". From an operational standpoint, what this means is that each helo in the group will be transmitting environmental information and its own status to the other choppers in the group. This will allow other helos to provide real time support of each other. Example: If chopper "A" detects an attack being brought against it, but is out of position or ammo and cannot defend itself, other helos in the group will "know" about this inability and will move to neutralize the target on chopper "A's" behalf. From a computational standpoint, the mesh network allows the computational power of the AI to be expanded as more helos are assigned to the group. TLDR: More helos - more "smarts" for the AI running the group. This local network will also allow the "computing cloud" to operate any individual helo that may have suffered damage to its computer core. When asked about the recent Google demonstration of their "AI", Ashley mumbled something about "kids playing with blocks' and would not say anything else on the matter. You may have been reading fake news here.